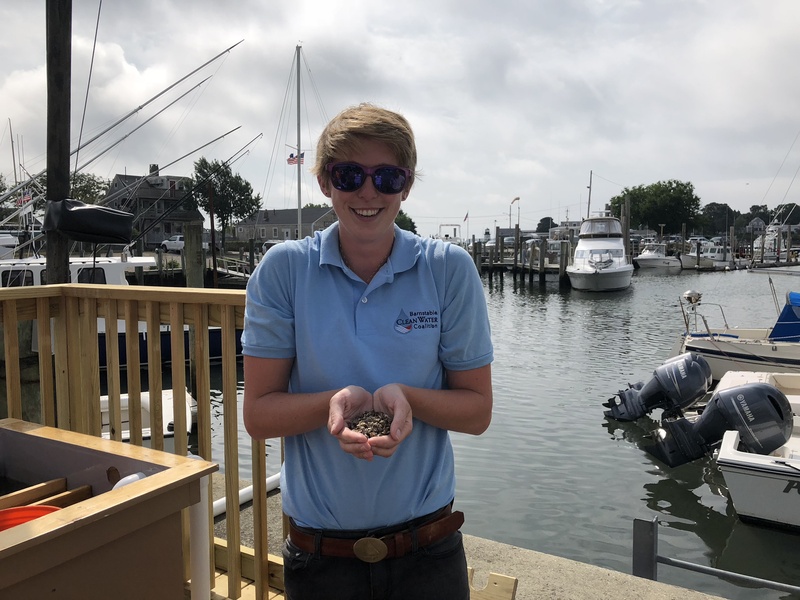 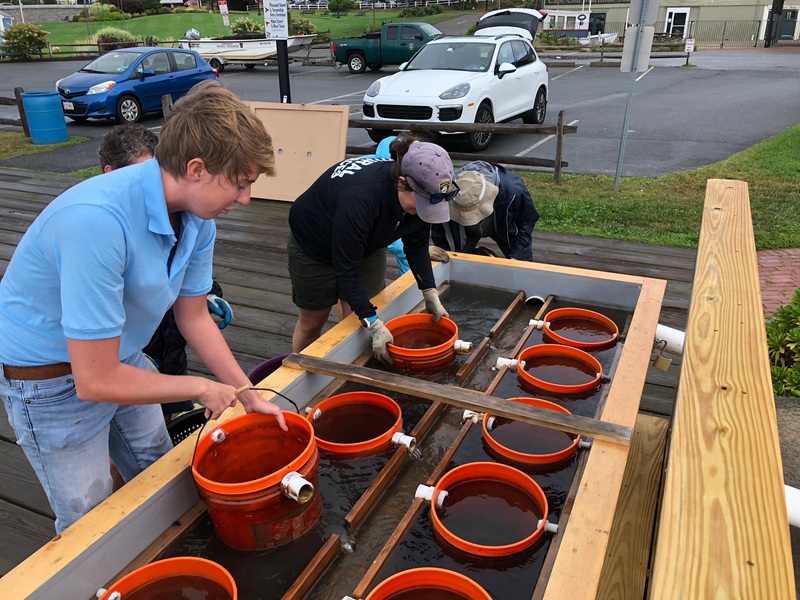 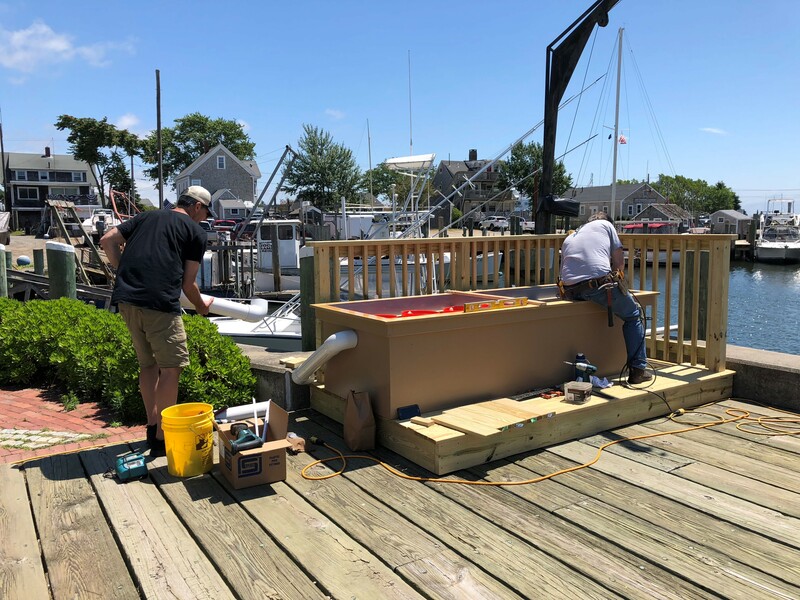 In partnership with the Massachusetts Oyster Project (MOP) and the Town of Barnstable, BCWC built and installed an oyster upweller tank at Gateway Marina on Hyannis Harbor during the summer of 2018. 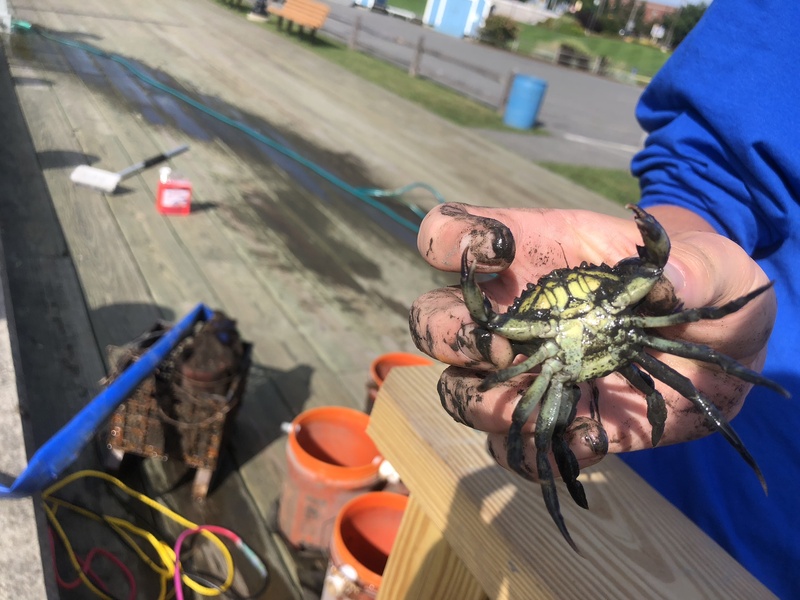 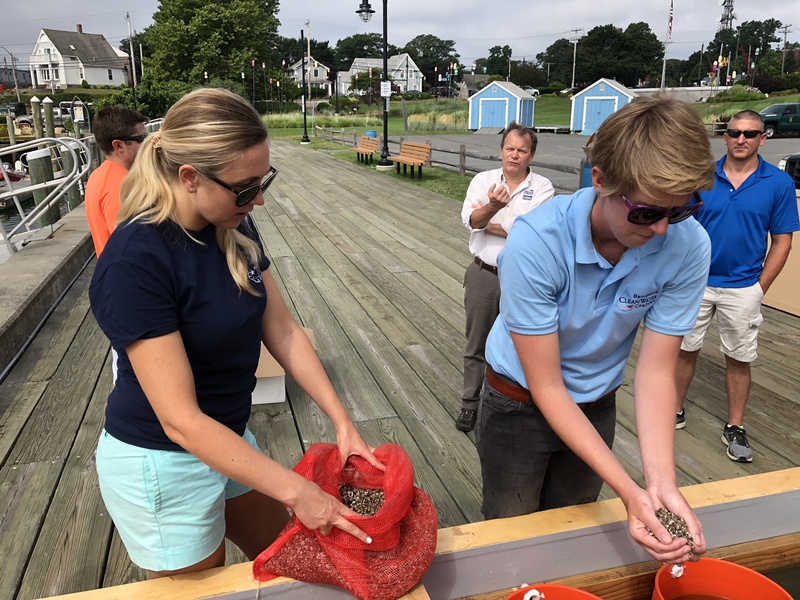 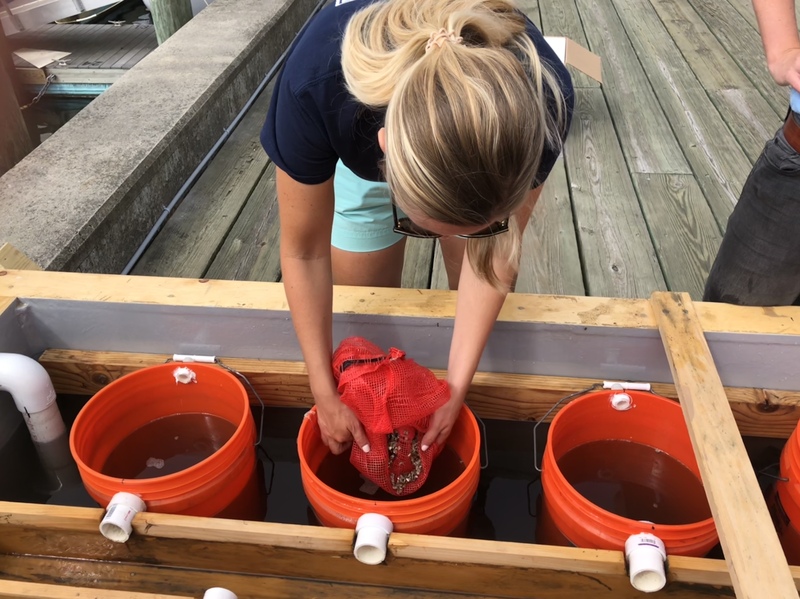 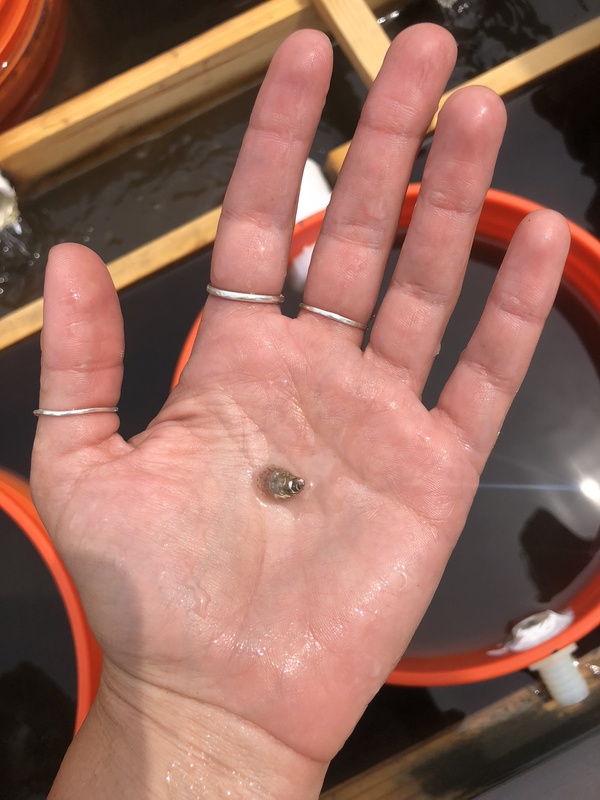 The goal of this partnership was two-fold: to raise oysters from seed-size (2mm) to juvenile-size (25mm) in the upweller using water pumped from the harbor and to demonstrate that oysters improve water quality and clarity by filtering out nutrients and sediment. 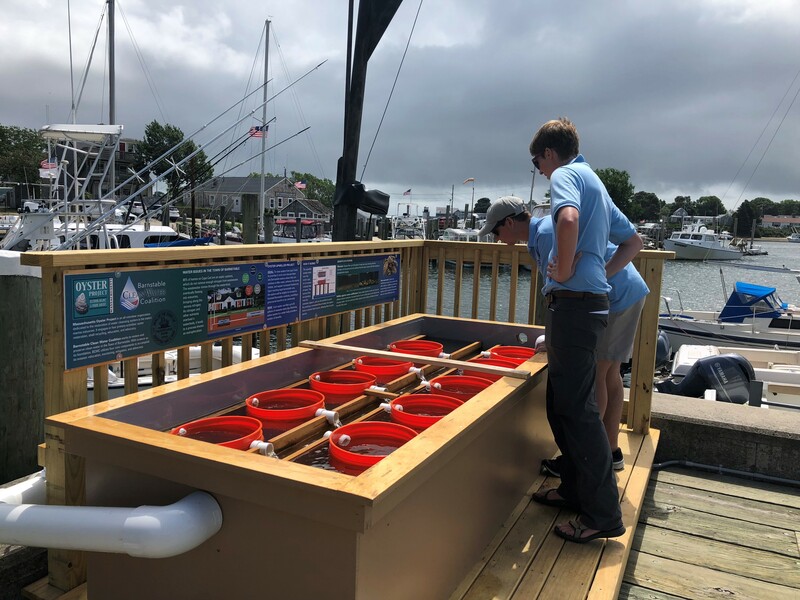 The function of the upweller is to promote and accelerate growth by providing the oysters with consistent, nutrient-rich water and protection from predation. 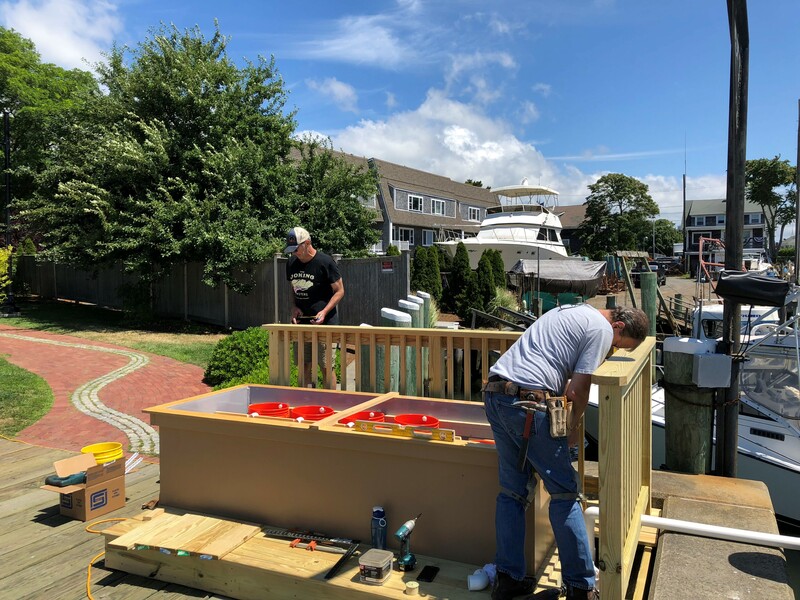 The upweller’s fiberglass tank was made in Gloucester and transported to Hyannis. 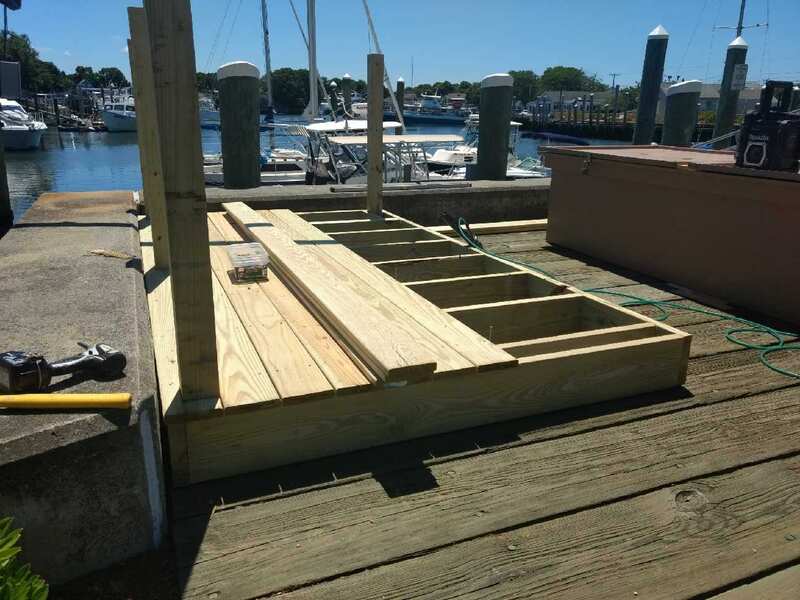 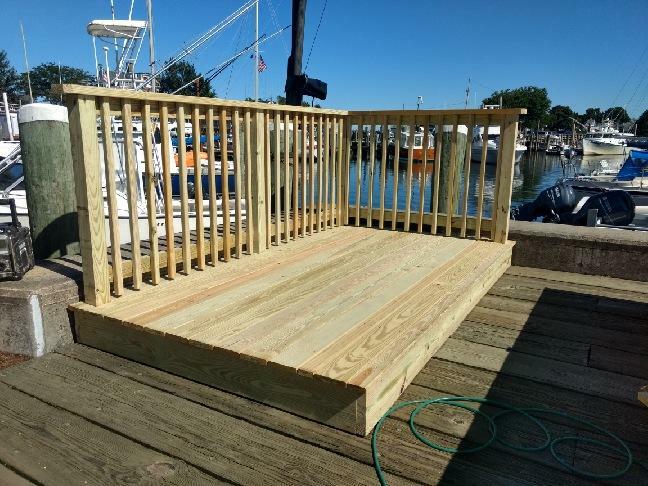 A platform with railings was built at Gateway Marina behind the Cape Cod Maritime Museum and the tank was placed on the platform. 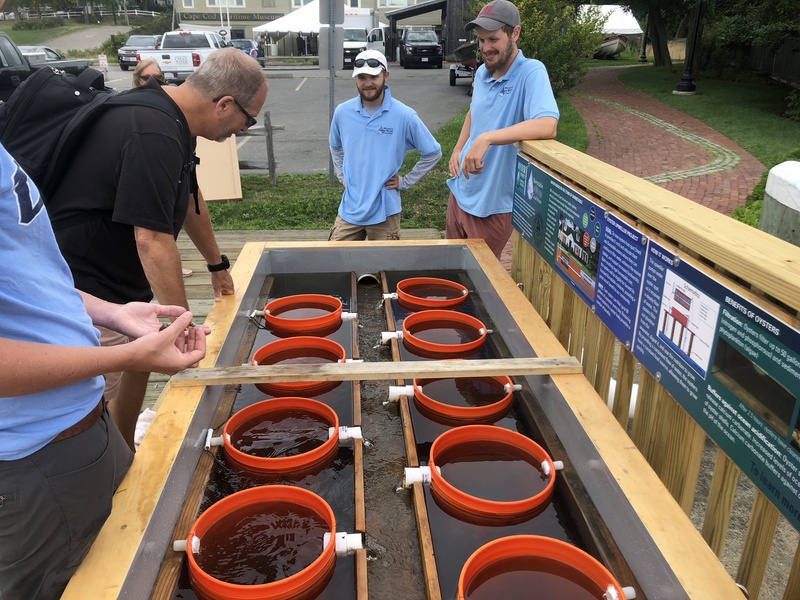 Once plumbing and electricity were connected, the upweller was up and running, ready to receive oyster spat. 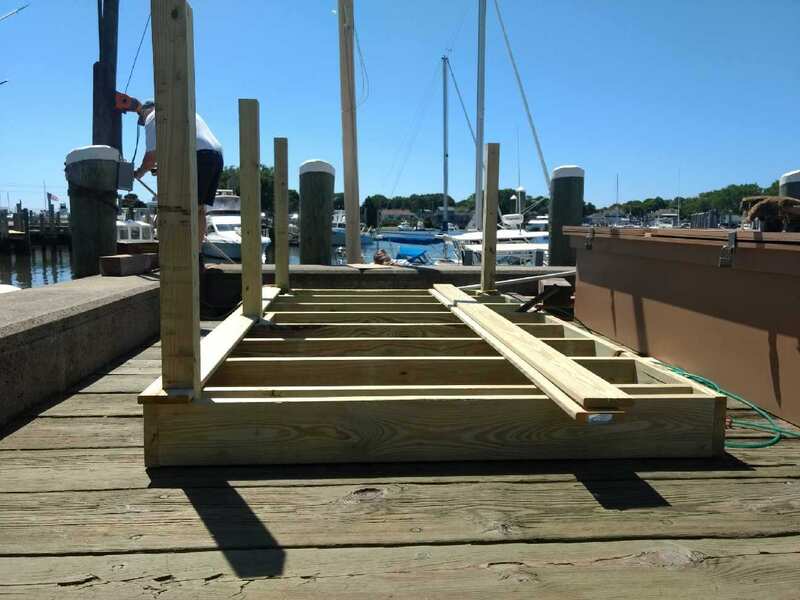 So, how exactly does an upweller work? 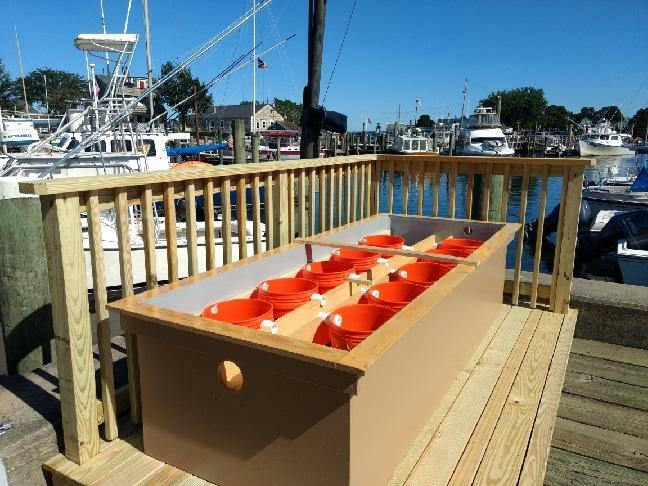 The tank contains ten buckets that hold the oysters. 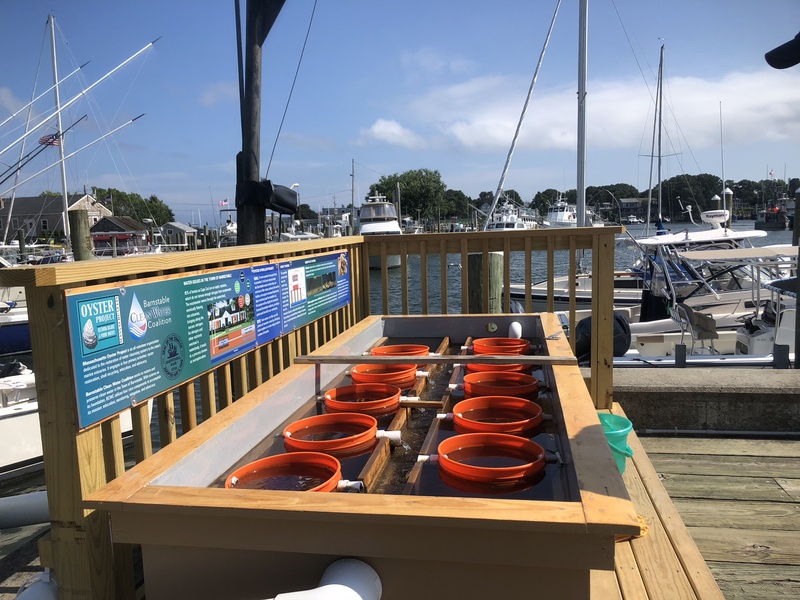 Water is continuously pumped from Hyannis Harbor into the tank and through the buckets, with the oysters filter feeding on phytoplankton and algae. 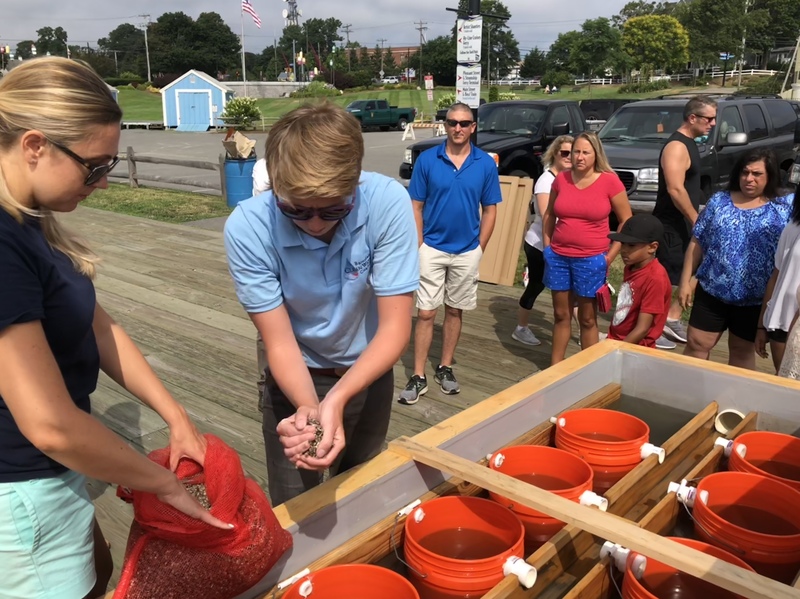 The cleaner, oyster-filtered water is then pumped back into Hyannis Harbor. 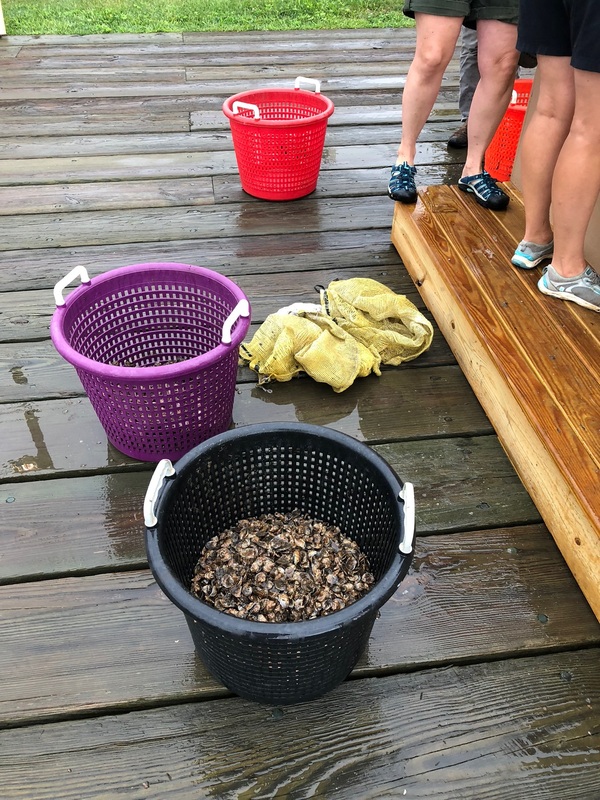 In late July, 50,000 seed oysters were transported from Maine and placed in the buckets. 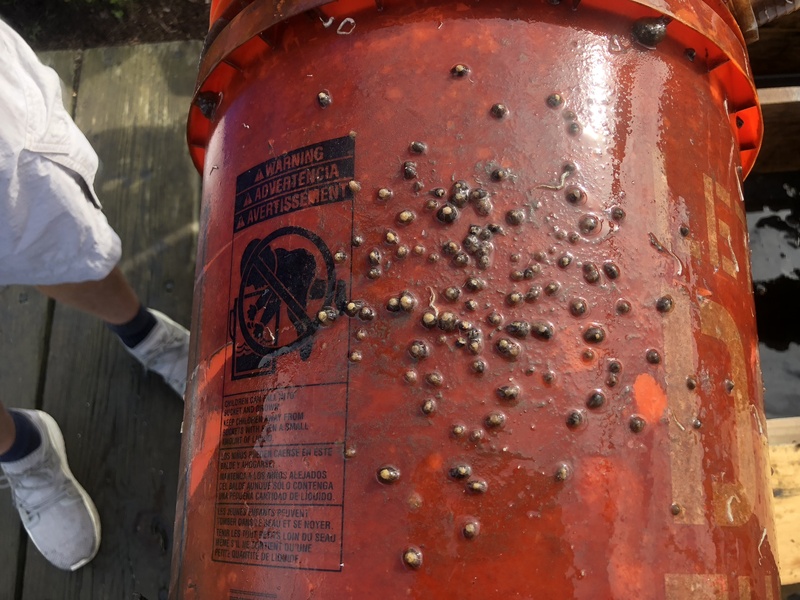 The tiny 2mm seed oysters, called spat, grew quickly in the warm, nutrient-rich waters from the harbor. 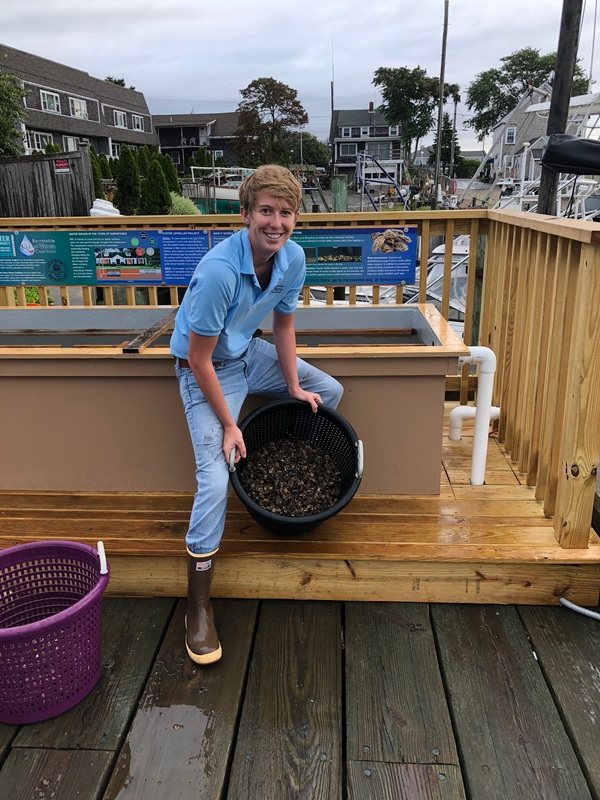 Daily upweller maintenance involved cleaning the tank and buckets, sorting oysters and ensuring the pump and other equipment were working properly. 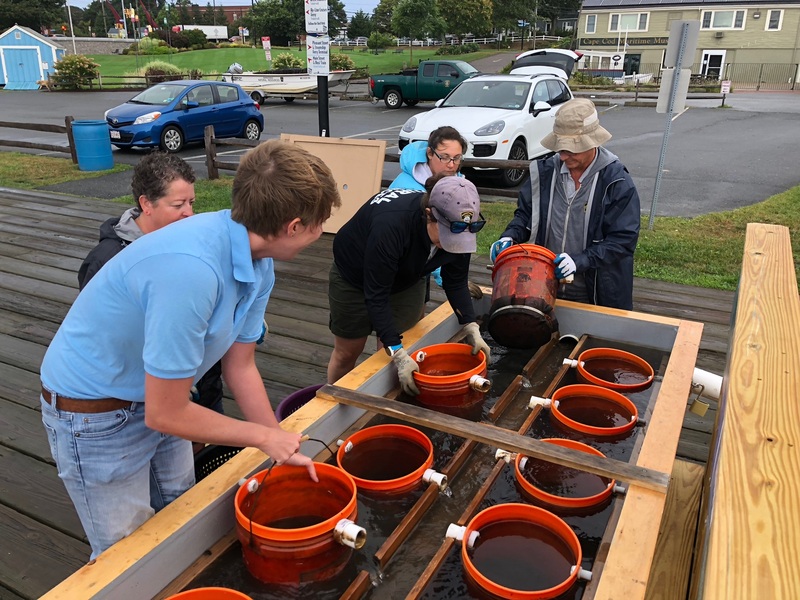 BCWC staff spent many hours at the upweller caring for the oysters and educating the public about the project, oysters and water quality. 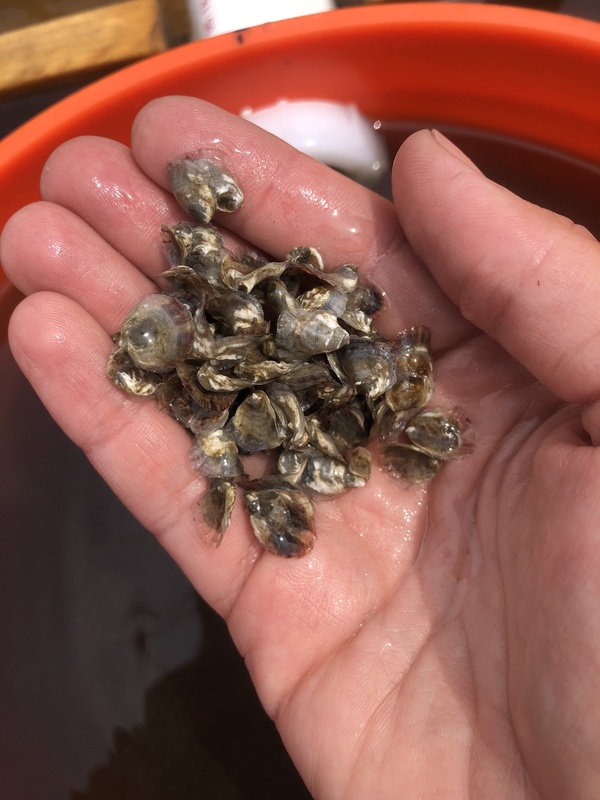 By early September, many of the oysters had grown to a length of 25mm and were ready to be relocated to a site in Barnstable waters. 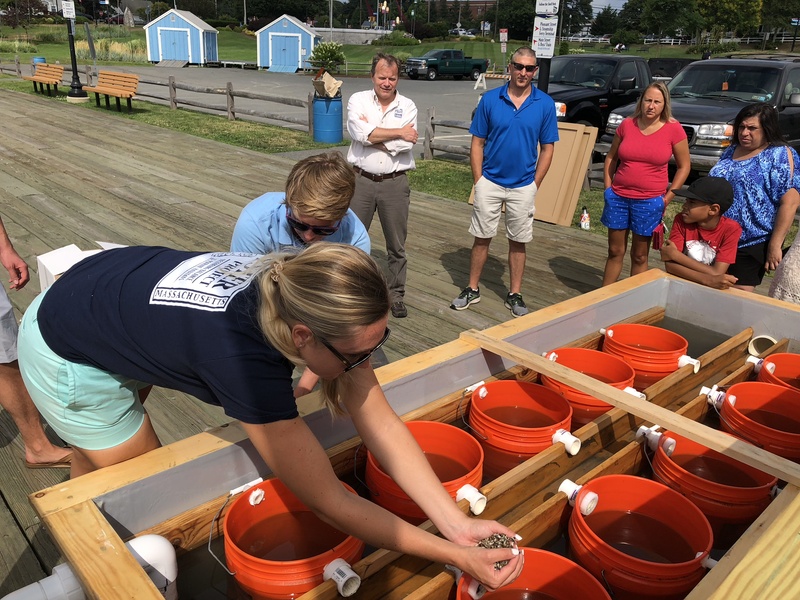 Staff from Barnstable’s Department of Natural Resources placed the oysters at a site in Cotuit Bay on September 11th. 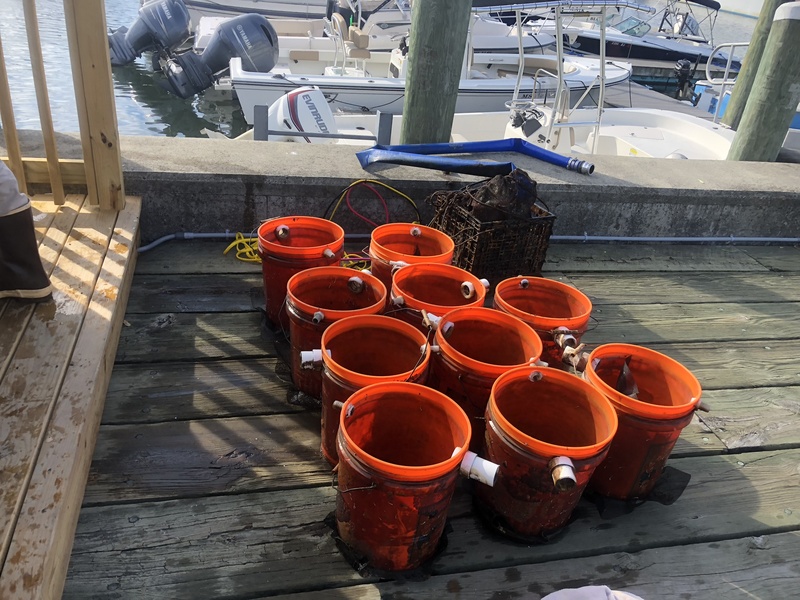 Here the plan is for the oysters to mature to a harvestable size (three inches), while at the same time improving water quality by filtering nutrients like nitrogen and phosphorous out of our local waters. 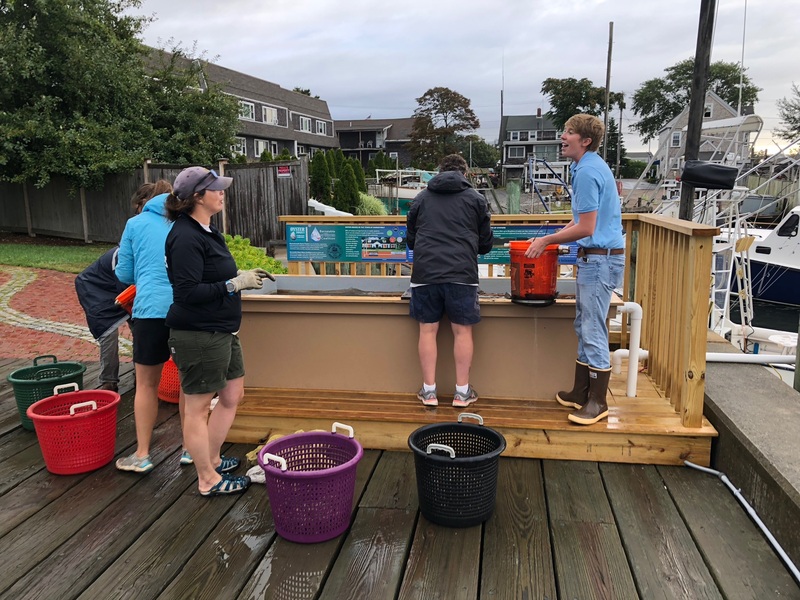 BCWC would like to thank the Massachusetts Oyster Project, the Town of Barnstable’s Department of Natural Resources, the House Company and the Muscongus Bay Aquaculture Hatchery for their generosity and assistance with the Hyannis Oyster Upweller. 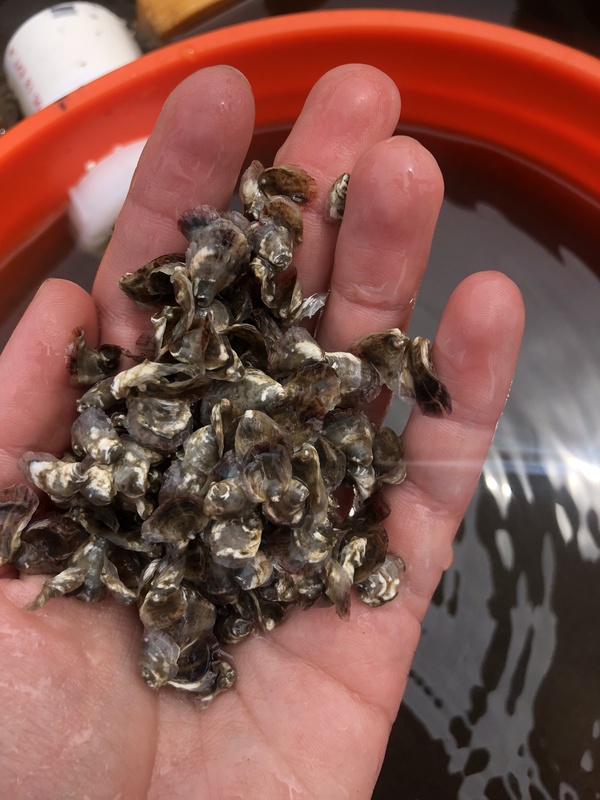 An oyster can filter up to 50 gallons of water a day. 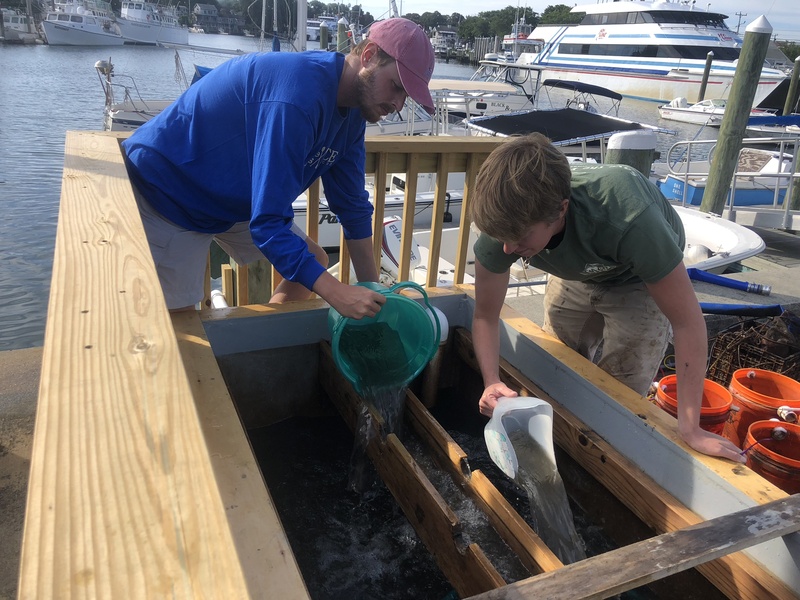 Thank you for your generous support to Barnstable Clean Water Coalition. 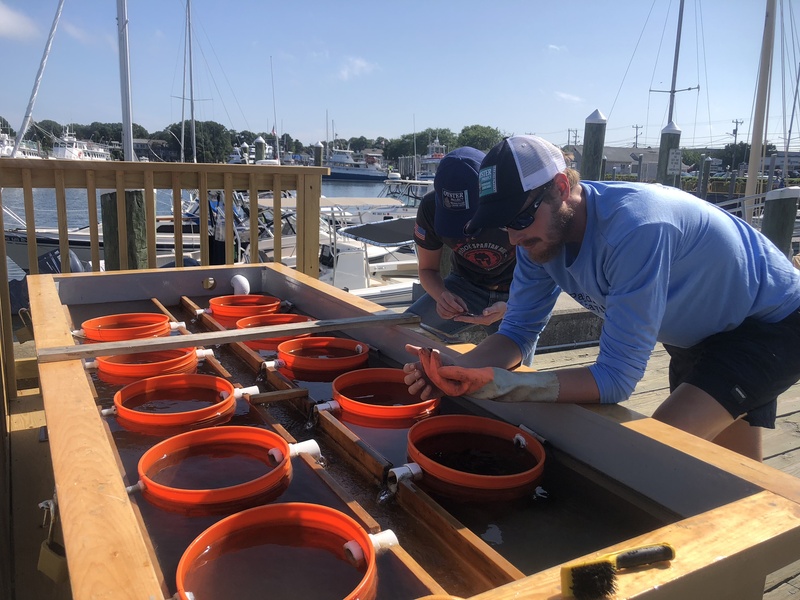 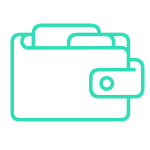 Find out about all the ways to get involved in Barnstable Clean Water Coalition. 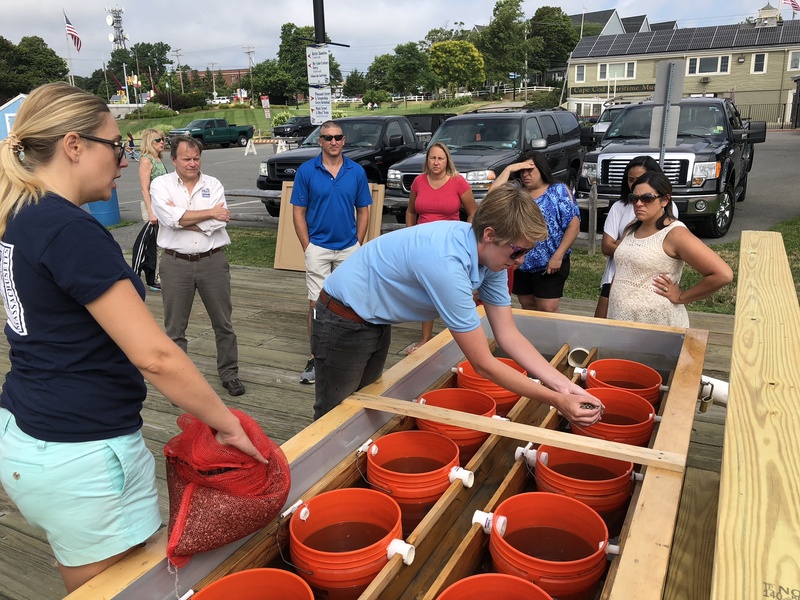 Find out more about what Barnstable Clean Water Coalition does for our community.